Friction is the force that resists motion through the rubbing of one object against another. It is a reaction force only. It occurs when two surfaces are in contact and a force is applied to a mass, causing the surfaces to slide against one another. If an object has no forces trying to cause motion, there is no friction. 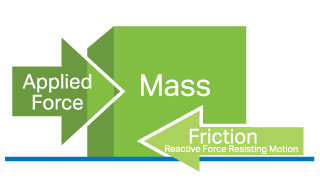 No applied force means no reaction force.